A wedding is a special occasion that every woman dreams of having one day. While not every woman will admit it, they have at one point fantasized about their special day. Some dream of having a romantic intimate wedding by the beach, some want a traditional church wedding, with all their friends and loved ones in attendance. Whatever their plans may be, the one thing that remains constant is that it will be one occasion they will cherish as long as they live. Now, planning your wedding can be stressful and nerve-wracking, but at the end of the day, you will know every effort is worth it. The moment the man of your life proposes, you know you are in for a happy ever after. However, one task you must accomplish, well, to make things legal, is to get married. And, getting married means you have to plan for your wedding ̶ from picking the perfect date and venue selecting to finding the best caterers and clothes for your entourage. The task may be overwhelming, the list goes on, but every sacrifice and hard work will be worth that one special day. Set a date that is not only special to you and your better half, but is also workable for you. 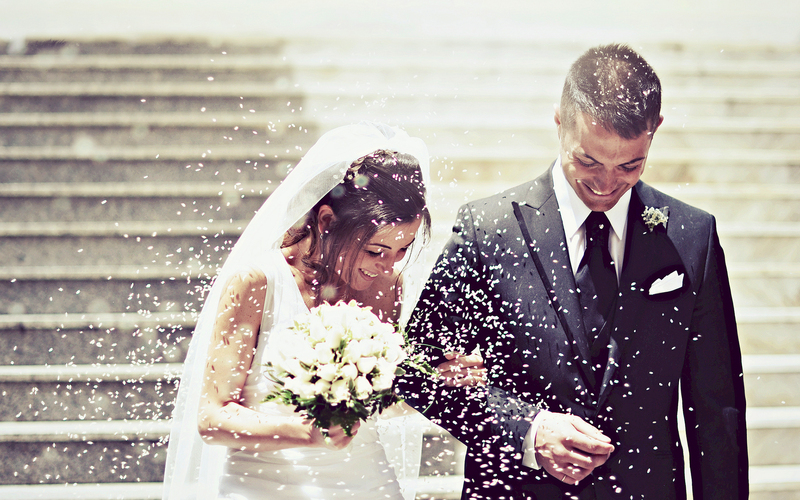 If you plan a big wedding, remember that some locations and venues have a waiting list. Look into the next year. If you want a simple, intimate gathering, a few months could suffice. Make a timetable that is both realistic and achievable. When you are planning your wedding, you naturally want the best of the best; the best flowers to adorn your tables, the best gown to wear, the best food to serve your guests. Scout the market for the best suppliers that can give you the results you want. You can even ask married friends about their wedding experiences to get insights and gain referrals. Work within your budget and not over it. The best suppliers are the one that can work within your budget. Remember, you have a married life to sustain after the wedding, don’t throw your life’s savings in one place. You would naturally want to spend your special day with people you love, make sure to do so in style! One tiny detail that many tend to overlook is the invitation. It has to have the right feel, the right anticipation to have your guests look forward to your event. You want to extend to them the love that you feel and the happiness that is overflowing in your heart. Go for personalized invites that have personality rather than generic ones. In the future, when you look back at them, you will so with a smile. Planning a wedding isn’t as glamorous as you might hope. There will be downfalls, disappointments and aggravations along the way. But looking at the man that you love and the beautiful life that awaits for you beyond your wedding day, makes the effort go away in a heart beat.